Objective 6 is what I believe is the core basis of the DCA exam as being able to effectively troubleshoot anything in your environment means you know all the varying methods to do things and how things are tied together and that is real administration. For this section I’ve been doing loads and loads of lab time from just building my lab and coming across certain problems or failures along the way which I’ve been trying to fix via the vMA, the command line and even the DCUI and purposely breaking things/causing problems just so I can practice fixing them . I think the best way of really learning these skills is putting in a solid amount of time in your lab as I believe the reason I failed my VCAP4-DCA the first time was down to not enough lab hours. When you’re under the time and nerve constraints that are part of the VCAP-DCA you make mistakes you wouldn’t normally do. 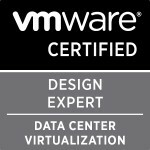 I have also re-watched the Trainsignal VMware vSphere Troubleshooting Training videos as David does a brilliant job covering it all. I’ve spent 70% of my lab time on this section as while building and trying out things in my lab I end up breaking things or things don’t work the first time and so I’ve been able to just mess around with all the tools and get it working again. As i said at the beginning, i think spending a large amount of time learning and trying out everything in this section is extremely important for the DCA exam. Categories: Certifications, VCAP, Virtualisation | Tags: esxcli system syslog, port mirroring, Trainsignal, Troubleshooting, VCAP, VCAP5, VCAP5 Blueprint, VCAP5-DCA | Permalink.